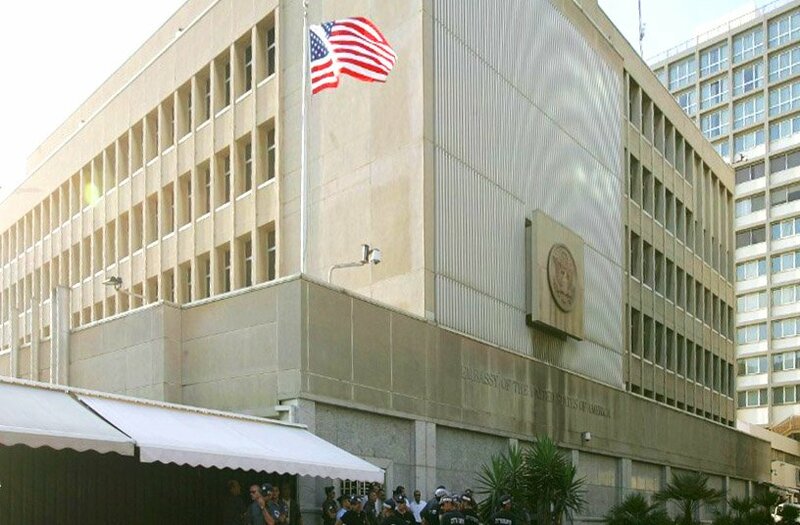 The International Christian Embassy (ICEJ) has voiced its support for the planned move of the U.S. embassy from Tel Aviv to Jerusalem and cited “diplomatic missteps” made by eight nations that have opposed the move. In a release dated Sunday, February 25th, the ICEJ, founded in 1980 as “a permanent representation of global Christian solidarity with Israel,” supported U.S. President Donald Trump’s decision to formally implement longstanding American policy by moving the U.S. embassy. In the same release, the ICEJ announced plans to lobby other nations on behalf of the move. 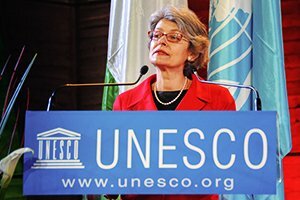 The ICEJ announced that it is actively urging leaders of numerous other nations to join the United States by also relocating their embassies to Jerusalem. Their efforts include letter campaigns and direct lobbying of government leaders by their local Christian communities. Filed Under: Israel, Journal, The U.S.
“For the first time in Israel’s history, the United States Army has opened a permanent base on Israeli soil, flying the Stars and Stripes inside an IDF base.” So reads the opening line of a JPOST article by Anna Ahronhein dated Sept. 18. 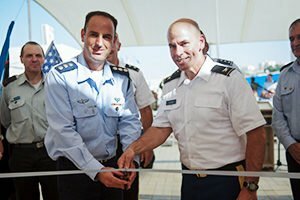 IDF, US Army Celebrate Inauguration of First American Base in Israel. Living facility? At first glance the replacement phrase seems inappropriate. Google living facility and you will learn about institutions for adults — perhaps in this case, nations — which cannot, or chose not, to live independently. On second thought, perhaps that is accurate. Or, perhaps, Act II, Scene II of Romeo and Juliet applies. What, after all, is in a name? More importantly, what is it about the “apparent” American military presence in Israel that demands such artful linguist dodging? “Several dozen American soldiers will be stationed at the permanent base in southern Israel, which the Americans and Israel have been working on for the past two years and will have all the facilities necessary for a permanent military presence,” he continued. All good news, one would suppose, and it shall probably remain so despite the U.S. rechristening of what had been a military base to something less-hostile sounding. The U.S. military had more to say regarding Gen. Haimovitch’s unfortunate choice of words — what, after all, qualifies an Israeli brigadier general to recognize a military base? “As part of the United States’ continued commitment to Israel senior leaders from the U.S. military participated in a ribbon-cutting ceremony… to commemorate the opening of a new building on an Israeli Air Force base,” the Times of Israel article reported Meghan Henderson, deputy director of the U.S. military’s European Command, Media Operations Division, as having said in response to General Haimovitch’s statement. There we have it. Ribbon cutting, nothing more, on an Israeli living facility base. By any other word would defend as well. This article appeared in substantially the same form at KehilaNewsIsrael.org and is reprinted here with permission. 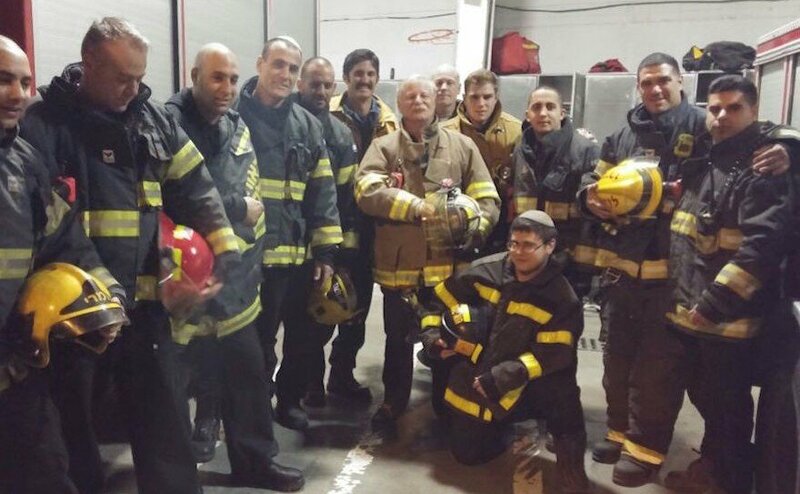 The Prophet Isaiah inspired at least one Christian American volunteer to come to Israel during the Thanksgiving holiday to assist Israeli firefighters in extinguishing hundreds of fires that raged last week around the country. Billy Hirth, Chief of Operations of the Emergency Volunteers Program (EVP), USA, was one of several volunteers who recently came to Israel from America, many of whom are Christians and feel called to stand with Israel. Hirth credited Isaiah 40 as his inspiration for lending a hand. From the very beginning, I believe that God commands us to stand by them, that we’re to be an advocate for Israel – love them,” Hirth told CBN News in a story by Chris Mitchell. “My first trip here I was given a word, a prophetic word, [from] Isaiah 40: ‘Comfort My people.’ So it means everything to be part of their lives.